The elections in Bangladesh on December 30 are a key moment in the country’s history with critics accusing the Sheikh Hasina government of authoritarian tendencies. Winter in Bangladesh is marked by a cold breeze and cool days. With winter also come flocks of migratory birds from Siberia, basking in the sunlight. The Jahangirnagar University campus has been known for the birds that visit the lakes, with the whole area resounding with their cries. Beside the lake, a few students are spending a peaceful afternoon, playing the guitar, singing and chatting. But a few months ago, the scene was different, remembers Arefin (name changed). A legitimate demand. Buses in Dhaka are terribly managed and accidents are common. Owned by private companies that seek to make as much money as possible, these buses compete for picking passengers first. In August, the students of Bangladesh hit the streets in thousands on this issue, demanding that strict rules and regulations be in place to minimize risks. In Bangladesh, protests led by students are common. Some of them have made history. The role of the students in the revolt of 1971 that gave birth to Bangladesh is the stuff of legend. Initially, the government countered the protest carefully. Later, the police resorted to brutal force against the protesters. Students were also hunted down by groups of men wearing helmets, armed with machetes and sticks. “The police came and beat us and later sent us to the central jail. This is the kind of oppression going on in this country,” the students note. 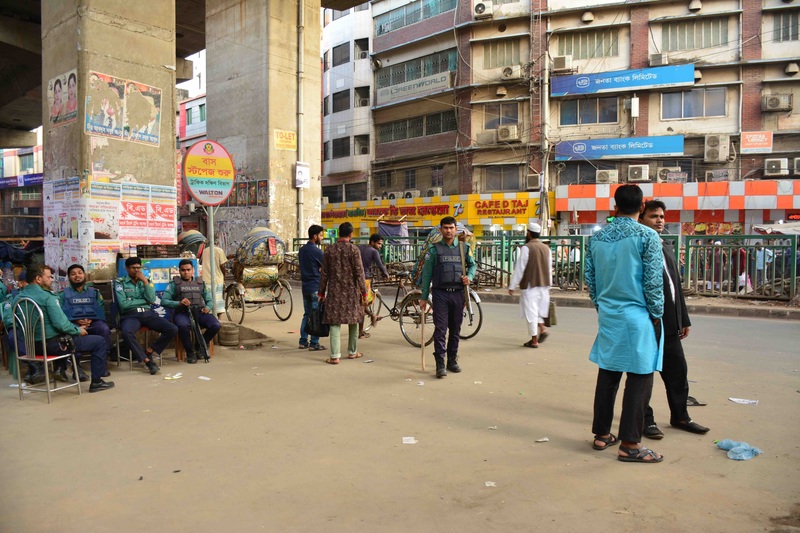 After nine days of intense protest, prime minister Sheikh Hasina’s cabinet was forced to approve a tougher transport law and launch a crackdown on reckless driving. Sheikh Hasina, who won the election unopposed in 2014 after opposition parties boycotted the poll, is seeking a third term in the national election scheduled for December 30. The polls are being held against a backdrop of growing dissent at what rights groups and critics believe is her increasingly authoritarian government. Sheikh Hasina earned a lot of praise for her acceptance of Rohingya refugees into the country over the last year, even being called the ‘Mother of Humanity’. But on the other side of this image is one of an autocratic leader, who has brought in laws that curb freedom of expression. Her government has been blamed for turning a blind eye to innumerable extrajudicial killings and forced disappearances, as well as interfering in judicial proceedings. “I think the pattern of people having to protest, of having to take to the streets, of having to get beaten up before their demands are accepted – that is what you expect from a colonial regime. You don’t expect that in a democratic system,” says lawyer Sara Hossain, referring to the August protests. The protest was closely followed by Dhaka-based photographer and activist Shahidul Alam, who has been received many prestigious awards for his work which exposes human rights violations. “Here, there is no scope, no space at all for anyone outside the immediate circle of courtiers of the government to speak his or her mind. And that’s scary, not just for the people, but scary for the nation, and scary for our future,” Alam says. He was sentenced for defying section 57 of Bangladesh Information Communication Technology Act (ICT). Section 57 “authorises the prosecution of any person who publishes, in electronic form, material that is fake and obscene; defamatory; ‘tends to deprave and corrupt’ its audience; causes, or may cause, ‘deterioration in law and order’; prejudices the image of the state or a person; or ‘causes or may cause hurt to religious belief’”. In an interview with Al Jazeera English on August 5, he had criticised the government and police that adopted a violent approach to the student protests. He also went live on Facebook with his critique. Within a few hours of the interview, he was put in prison. In October, the Bangladeshi parliament passed the controversial Digital Security Act. Under the act, people can be put in jail for up to 14 years if they secretly tape official conversations, speak negatively about the liberation war or spread rumors about the ‘father of nation’, Sheikh Mujibur Rahman. Concerns have also been raised by right groups after the anti-drug drive launched on May 3 by Sheikh Hasina. Observers believe it is a front for a campaign of extrajudicial killings. Initially, the drive against the drugs was popular in the country. Drug addiction and trafficking have long afflicted Bangladesh. The use of the methamphetamine-caffeine pill that goes by the name of Yaba has increased, especially over the last year. But an audio recording of a cold-blooded murder by security forces published on the Daily Star newspaper’s website shocked the country. 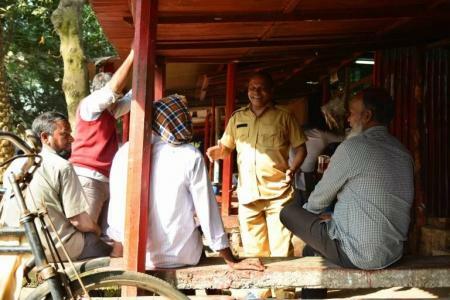 The family of the victim, 46-year-old Ekramul Haque, shared the audio with journalists. After it published the recording, the website of Daily Star was blocked by the telecommunications regulator for about 18 hours. Some 450 km away from Dhaka, Haque’s daughters, eighth-grader Tahiat and her younger sister Nahian, sit in their dimly lit, one-roomed home, hoping their father will return. 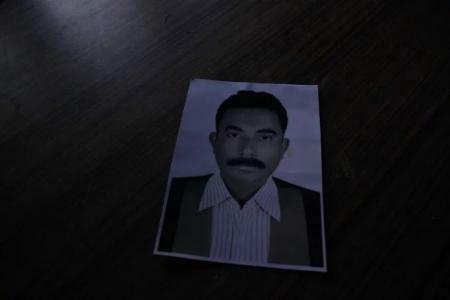 On May 26, Haque had told his little daughter to go to bed over phone and promised that he would be back soon. Later that night, Haque’s wife, Ayesha Begum, called her husband, worried that something was wrong. The call was picked up but instead of Haque, she heard a brief conversation on the other side. Moments later, two gunshots were fired and Ayesha and her daughters heard Haque groaning. They began crying and begged his captors to leave him as he was innocent. The whole incident was recorded on Ayesha’s phone. Today, Ayesha’s teary and swollen eyes tell the tale of months of waiting for a response from the government, She alleged that her husband, a three-time ward councilor in the town of Teknaf, and an Awami League (AL) member, was killed in a planned manner. According to Ayesha, the family didn’t get any help from the government, and today, she is utterly broke. After the death of Ekram, the paramilitary organization, Rapid Action Battalion-7 (RAB-7), which was involved in the encounter, said that Ekram was shot dead in a ‘gunfight’ at Noakhalipara on Teknaf Marine Drive Road. When asked about the phone recordings, the RAB claimed that their authenticity was being probed. The RAB seemed to imply that the recordings were doctored in order to sully its reputation. According to a report by Ain O Salish Kendra (ASK), a human rights organization, based in Dhaka, at least 437 people were killed in extrajudicial executions by law enforcement agencies and 26 others were forcibly disappeared in the last 10 months. Of the victims, 276 were killed in the nationwide anti-drug operation from May 15 to October 31. Hasina’s government has not responded to these allegations properly. “Killing is not the major agenda of these drives,” said minister of information Hasanul Haq Inu, in an interview. “The government is working within the parameters of the law,” he added. The RAB was established by the Bangladesh Nationalist Party government (BNP) in 2004. It consists of members of the military, police, navy and airforce, and describes itself as an elite anti-crime and anti-terrorism agency of the Bangladesh. “ I want to say many things to you and I’ll be in trouble if do, but I’ll speak,” says a teary but determined Ayesha, while showing her husband’s pictures with their daughters on her mobile phone. She has a reason to be afraid. Nobody actually knows under what circumstances these killings are taking place, even as reports of the same continue. A sense of extreme fear has been generated in the country with people worried that any person, who finds himself on the wrong side of a political conflict, or even a private conflict, may end up a victim. “The fact that there is extreme repression, within the country itself is something that needs to be highlighted, talked about and addressed,” said Alam. The election season has been marred by violent clashes, with the opposition alleging that the ruling party is trying to cripple its campaign by arresting and attacking its members and workers. “While there have been violent attacks by supporters of all rival political parties, the authorities have failed to act impartially. The police have arrested and detained opposition members, but failed to act properly against ruling party supporters when they target opposition candidates.” Human Rights Watch said, in its latest report. Ahead of the elections, theatres across Bangladesh are running a 70-minute long film, titled ‘Hasina: A Daughter’s Tale,’ depicting the prime minister’s rise from a martyr’s daughter to the ‘Mother of Humanity.’ She has been hailed as the harbinger of economic prosperity in the country, and praised for her role in providing sanctuary to over a million Rohingya refugees. Critics note that the fact that there are children who will never see their fathers again, people who have been waiting for their disappeared family members for years, and activists who are detained and imprisoned without any cause or reason for months, call for a sensitive response from the government. The international community’s selective view on the human rights situation in Bangladesh also worries Alam. These are some of the key issues which will come into play in the elections on December 30, which will be a key moment in the history of the country. The controversial elections in the Democratic Republic of Congo threw up a surprise when Felix Tshisekedi was elected the new president. Throughout the world, 2018 saw narratives of migration dominating politics, and being used to polarize and divide people.